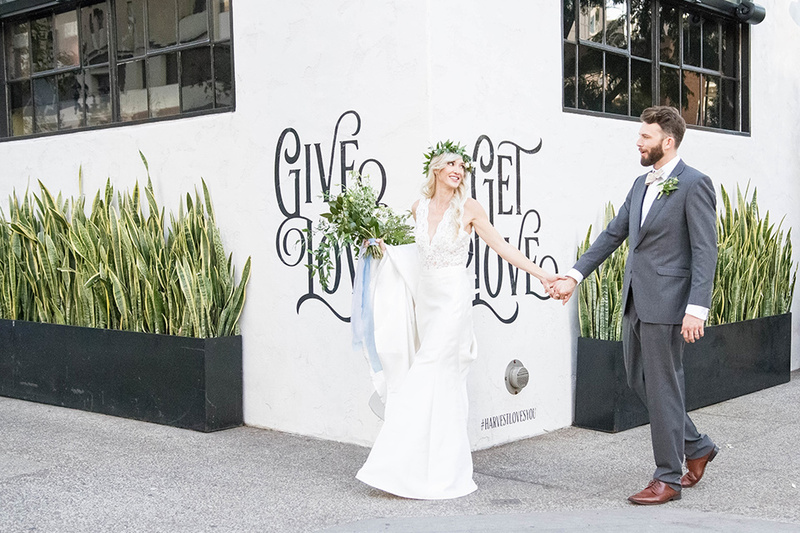 Janita Mestre Photography captured this styled shoot at Luce Loft in downtown San Diego. 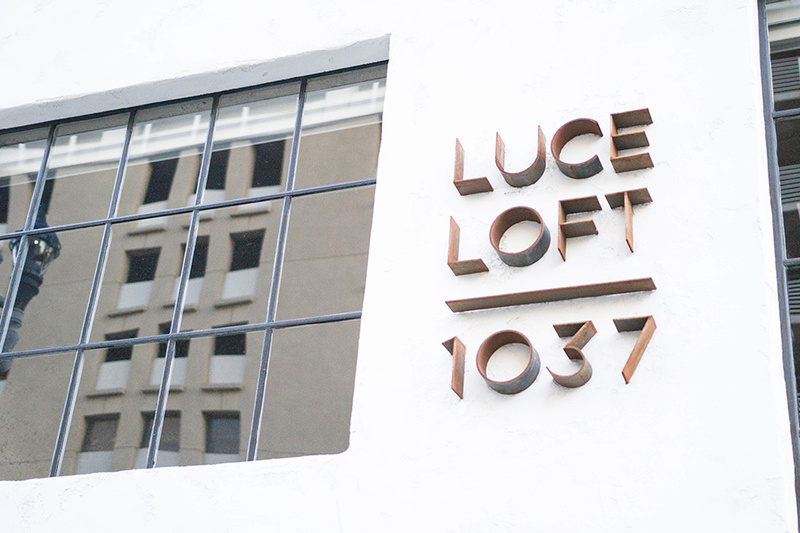 Luce Loft is an incredible, modern space. 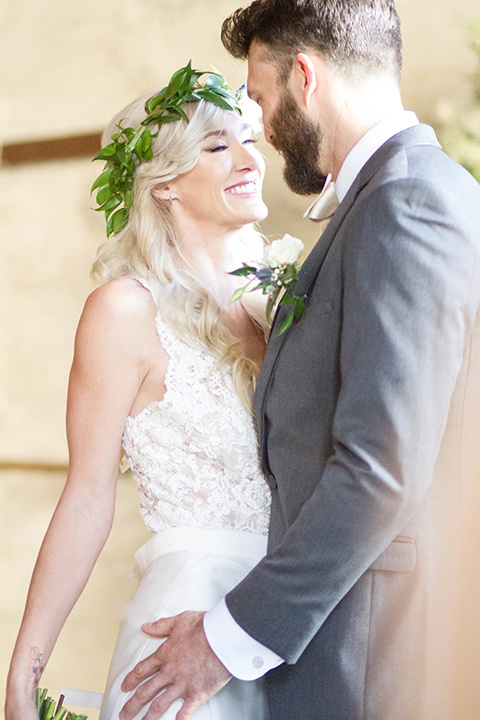 Our models Darby and Joshua were perfect for the feel of the shoot! 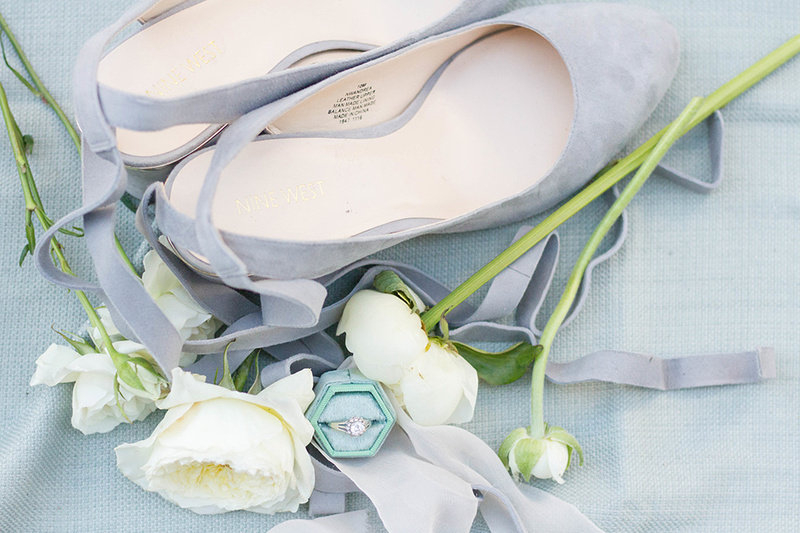 The details for this shoot were surrounded by neutral colors and soft, dusty blues. 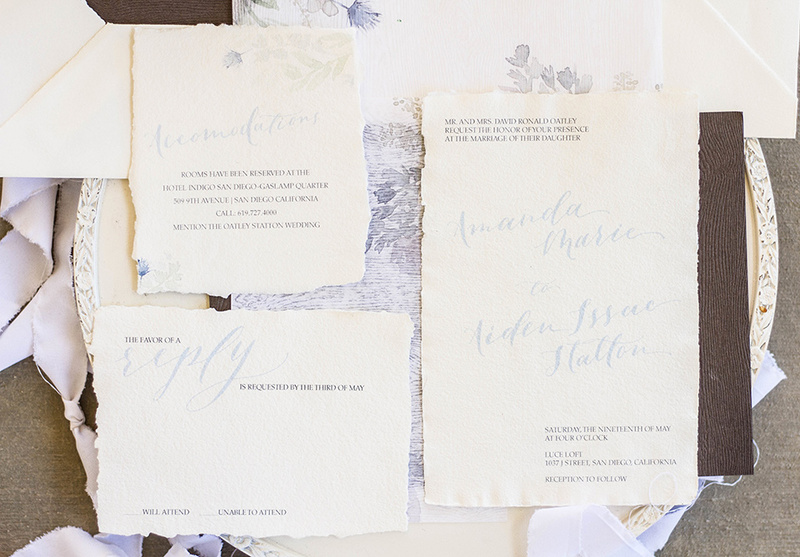 For this shoot, we wanted to focus on a modern look with vintage touches. 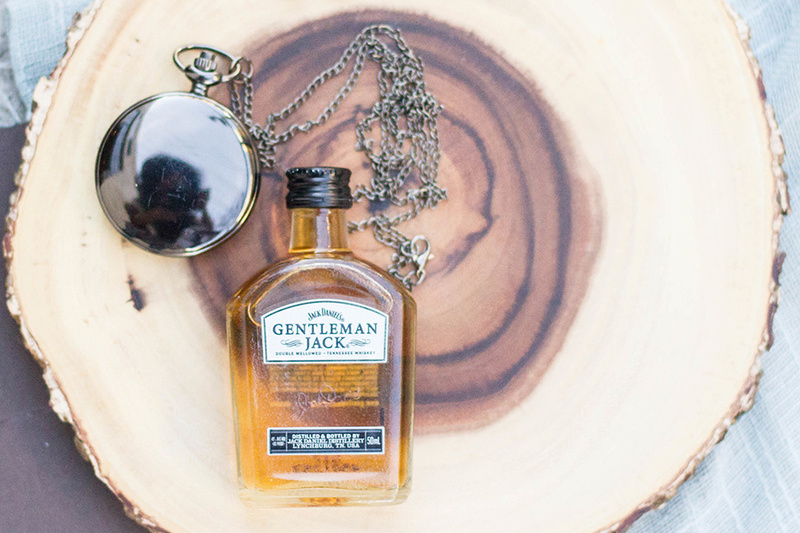 We first did this with the bride and groom’s attire. 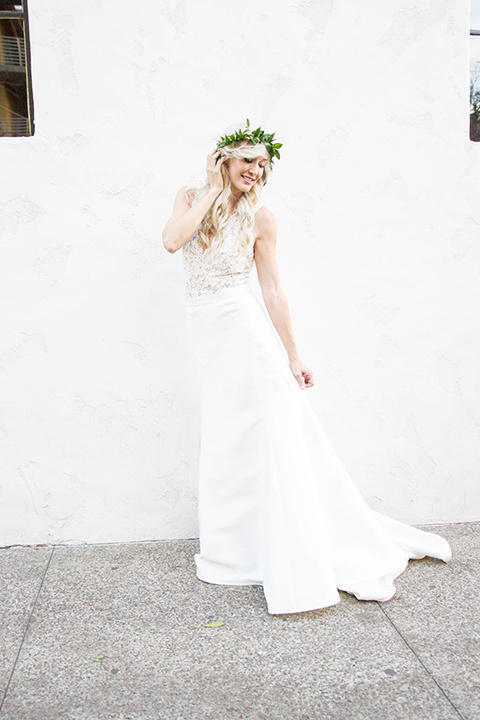 The bridal gown was a two-piece skirt and top. We wanted the top of the gown to be detailed and modern, with the skirt having a small train to add to the vintage look. 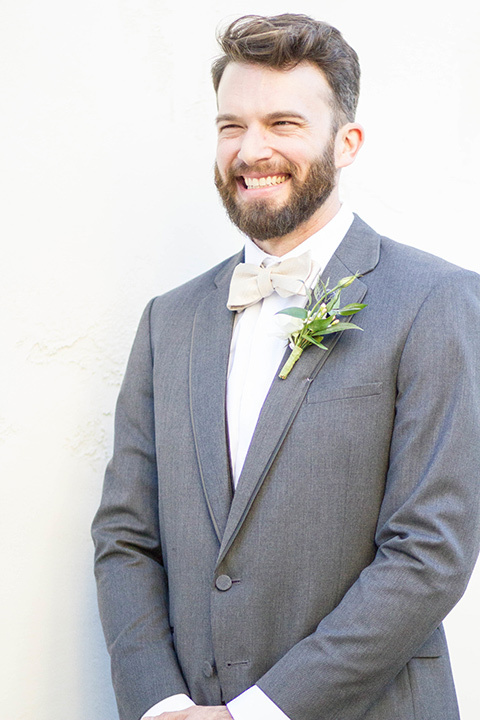 The groom was dressed in a classic, dark gray suit. 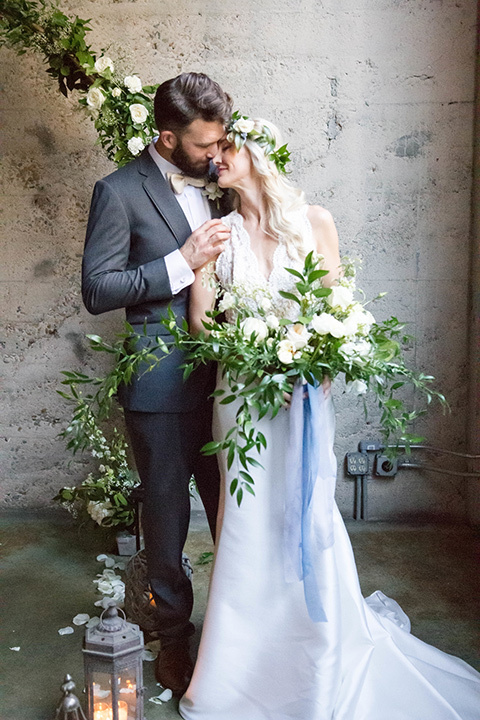 Fox and Flora Designs created an amazing array of flowers and greenery for the day. 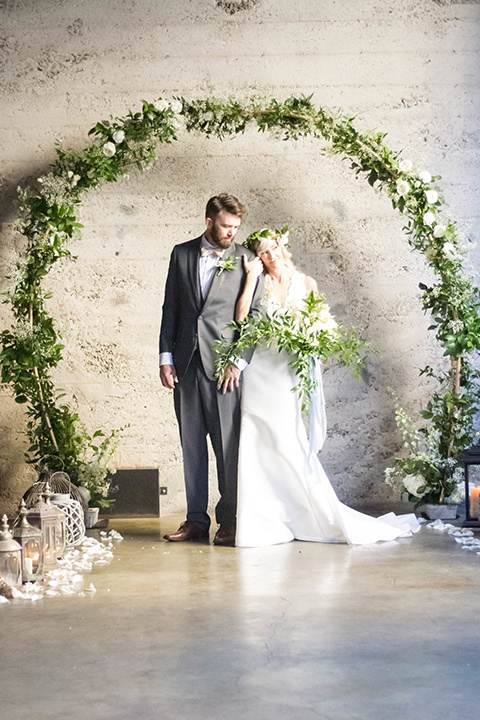 The flower arch at the end of the aisle was stunning and a great focal point for the photos. 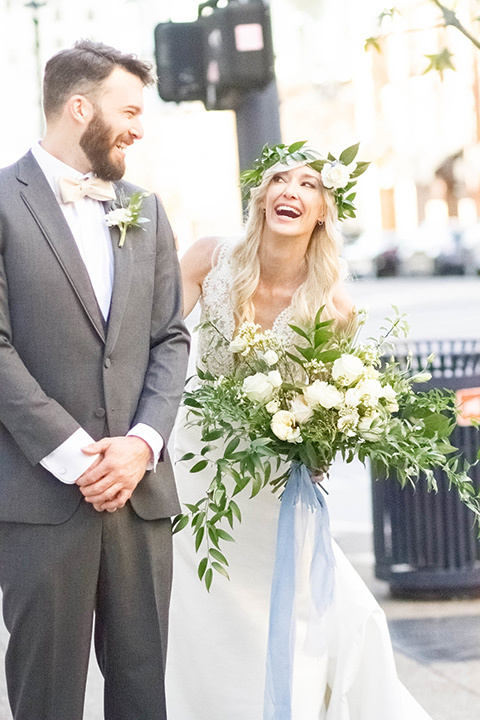 The bride’s flowers perfectly tied in with her headpiece and the groom’s boutonniere. 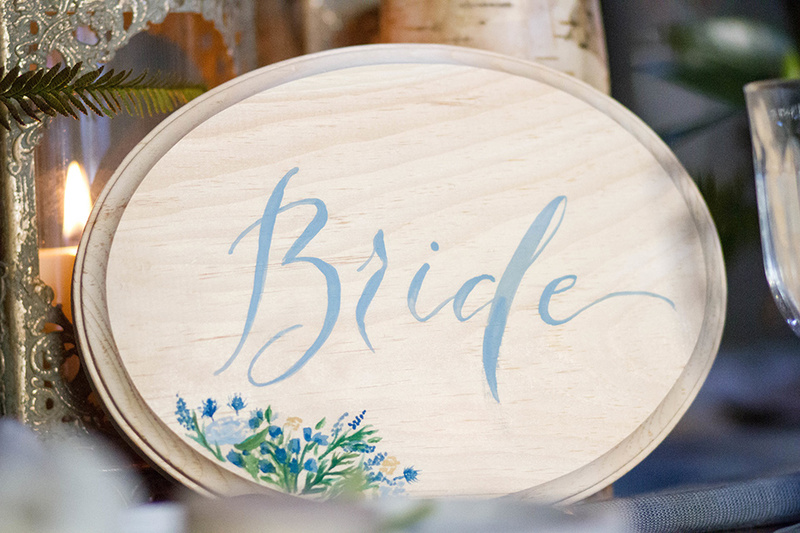 We were absolutely obsessed with the beautiful wooden welcome sign that had a touch of greenery and white flowers on the top corner! 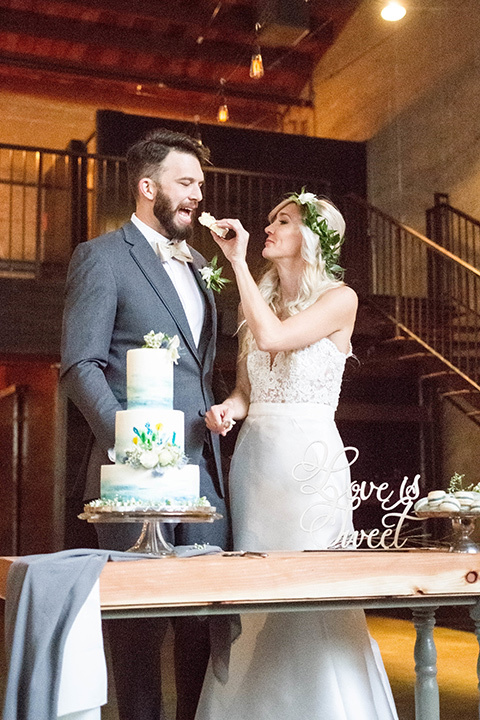 Sweet Maple Creations designed both an exquisite cake and adorable macaroons. 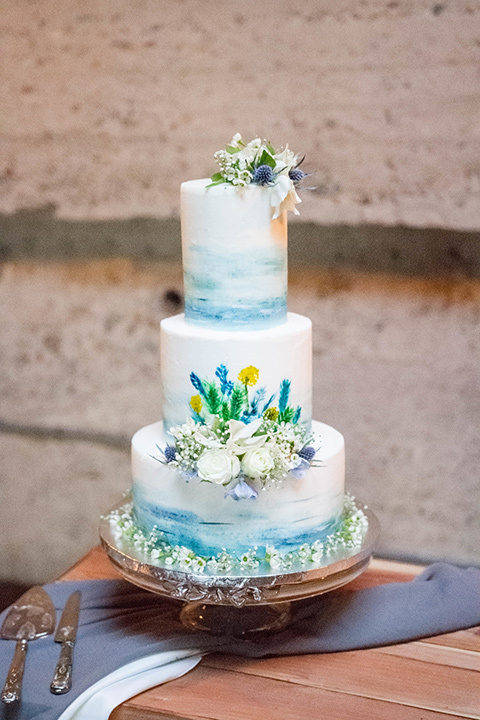 We wanted to keep the cake classy with a touch of whimsical, and the painted flowers did just that. 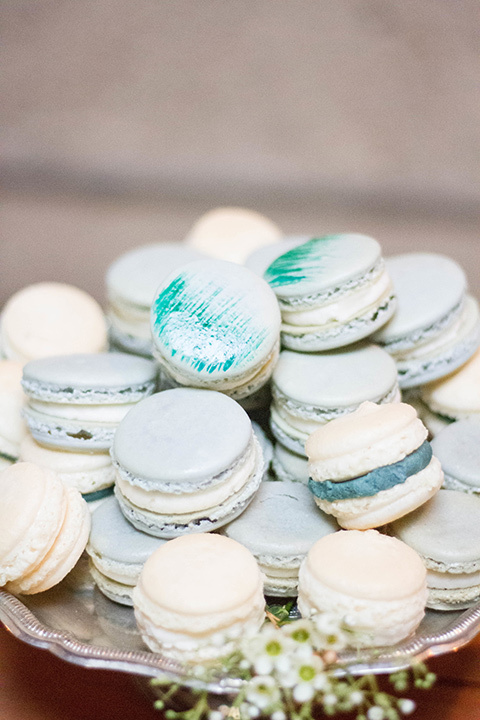 The macaroons were added for a classy, timeless touch. We could not wait to try a bite! 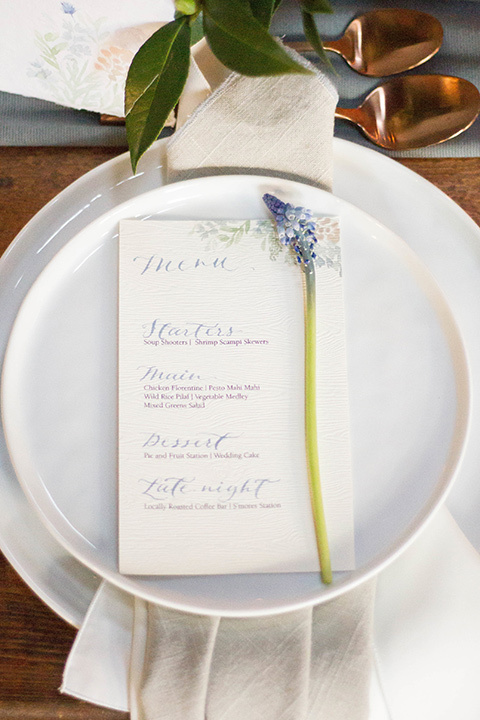 Finally, the tablescape was absolutely dreamy for the styled shoot. 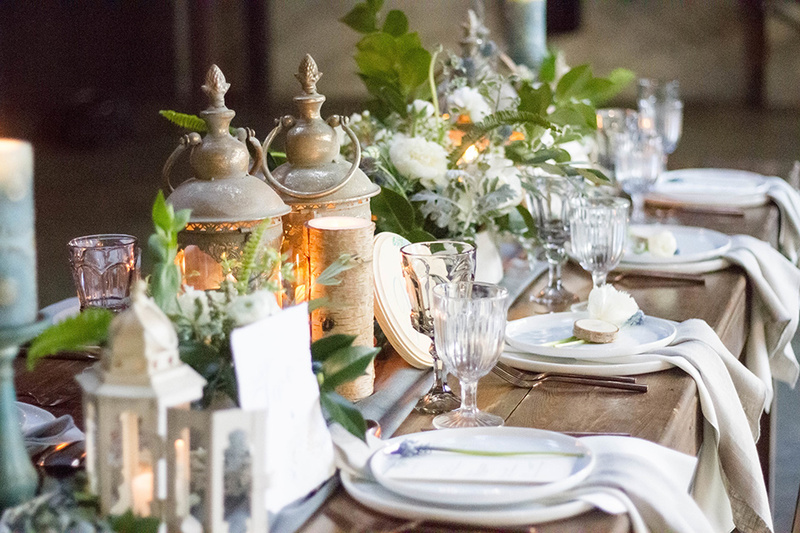 Designed by Tilly Mestre, the lanterns added a vintage look to the white, classy plates and gold dusted silverware. 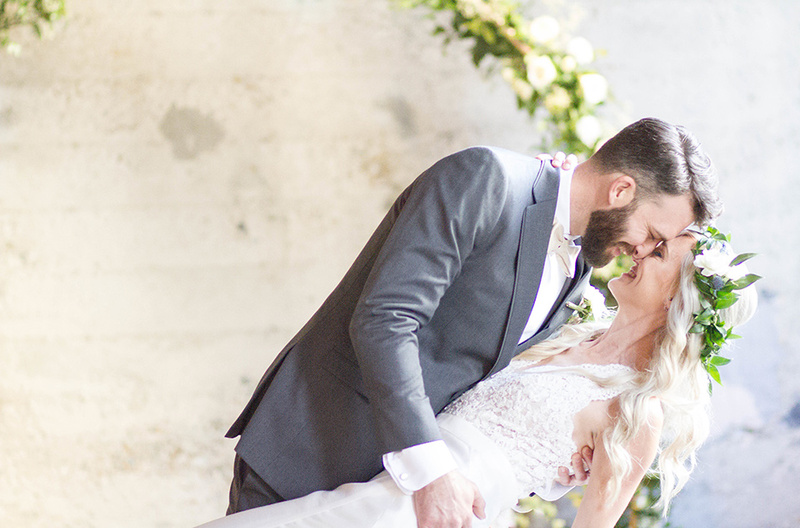 The lanterns on the tablescape also tied into the lanterns that adorned the aisle. 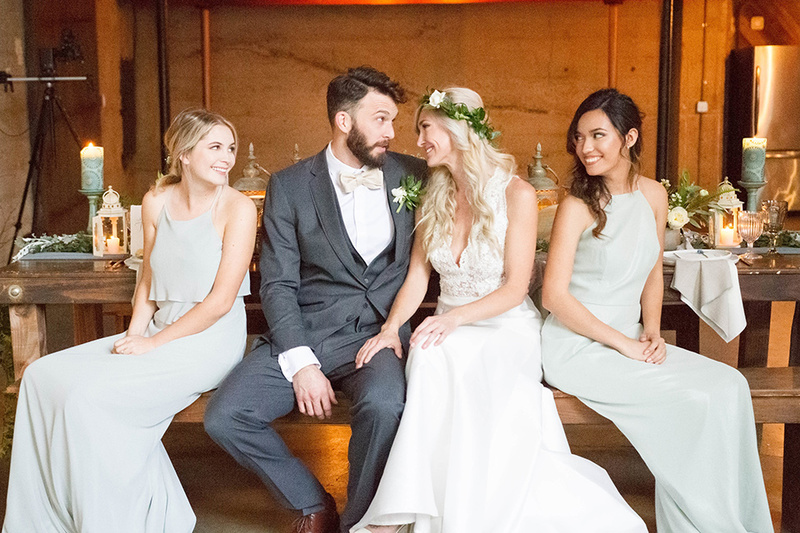 We loved this different spin on the traditional wedding aisle. 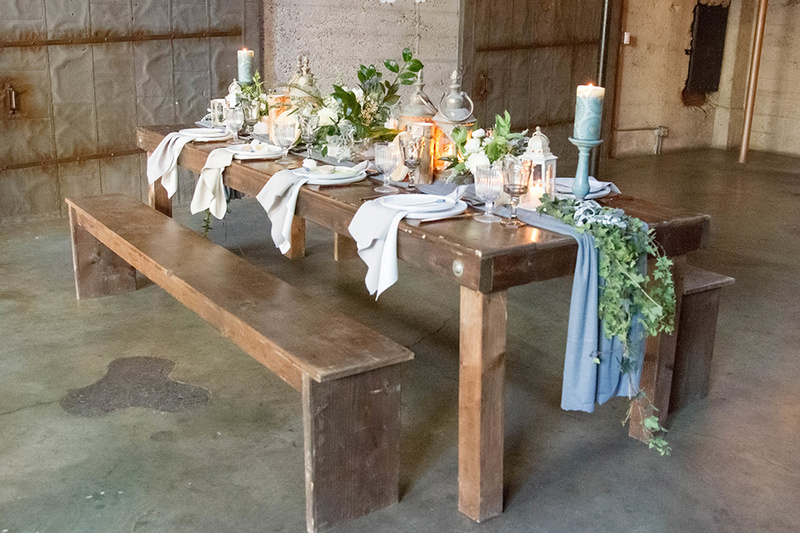 If you are planning a wedding and want a modern feel with vintage touches, look no further for inspiration! 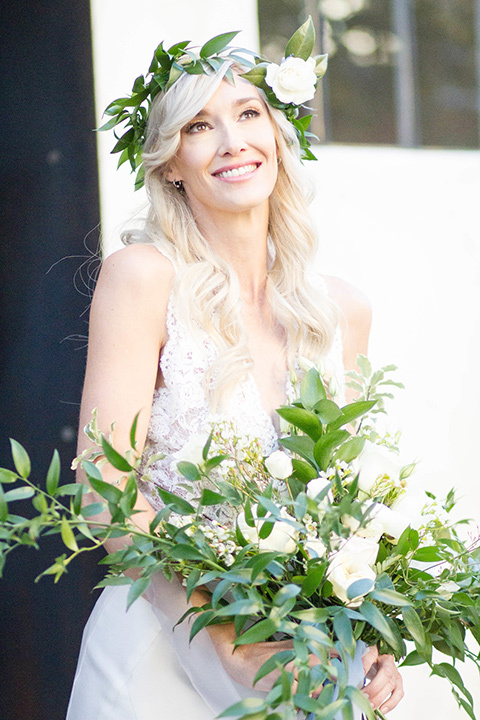 This styled shoot has left us dreaming about all the beautiful touches of the day and we hope you love it too! 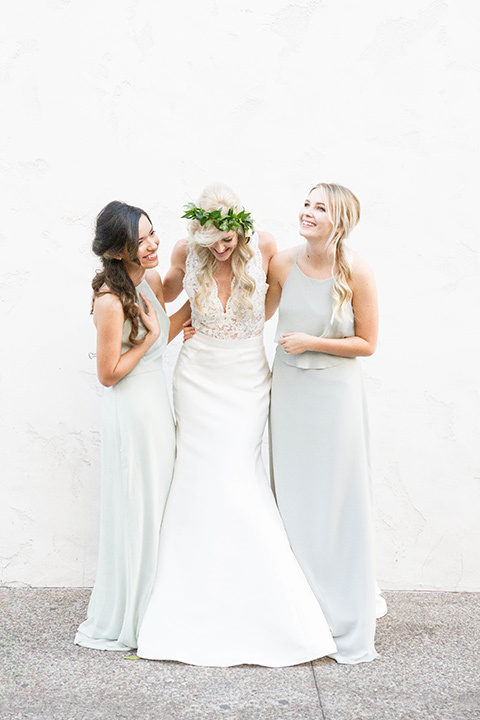 This wedding was also featured onThe Bride Link.